Our website design is based on AppThemes Solutions! Anaheim City Hall, California, is where to find all essential information about the city including major Anaheim officials and how to do business in the city. Anaheim City Hall, California, is under the jurisdiction of Mayor Tom Tait. The mayor of Anaheim was first elected in November 2010 and re-elected in November 2014. Of course, he represents the city at large. Tom Tait previously served as City Council member from 1995 to 2004. He is also a current member of the board of directors of the Orange County Transportation Authority. The mayor created the H”i Neighbor program”, which simply facilitates interactions between neighbors through acts of kindness and to builds social infrastructure leading to stronger, more resilient communities. 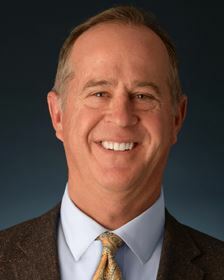 Tom Tait earned his bachelor’s degree in finance from the University of Wyoming, master’s of business administration and law degrees from Vanderbilt University. He is currently a member of the State Bar of California. Tom Tait is a family man. He and his wife, Julie, have 4 children and two grandchildren. They have resided in Anaheim for almost 30 years. City Administration, which displays a City Council/City Manager form of government. City Clerk, of course, is responsible for elections, records, and passport services. The City Council aims to be a better place for all who live, do business in, or visit this great city. There is a Finance Department, which assists other departments in the city in meeting their service objectives. The Community Development Department implements a variety of programs to foster a better quality of life. These programs create new residential opportunities, revitalize neighborhoods and create job training opportunities. The goal of the Community Services Department is to enrich individuals, families, and the community through the provision of services, facilities, and programs which improve the quality of life in Anaheim. The Anaheim Convention Center, Sports and Entertainment consists of entertainment facilities such as Angel Stadium of Anaheim, the Honda Center, the Convention Center, the National Grove. It also includes the transportation facility known as ARTIC. Do not forget Anaheim’s finest, the Police Department, which you can Access for programs and see what initiatives it’s focusing on and for more information about its different divisions. DEWALT DG5120 Heavy-duty Drill Holster - Tool Holsters - The post DEWALT DG5120 Heavy-duty Drill Holster appeared first on Home improvement. DEWALT DWA2T40IR IMPACT READY FlexTorq Screw Driving Set, 40-Piece - Drill Bit Sets - The post DEWALT DWA2T40IR Screwriving Set IMPACT READY, 40-Piece appeared first on Home improvement. HeatandCool is one of the largest online distributors of HVAC products and one of Inc. magazine's fastest growing private companies in the United States. It is our mission to bring you the best and most efficient air conditioning, heating and ventilation systems in the world at the best prices possible. HeatandCool brings you remarkable value along with bilingual technical customer support. Unlike other companies, we assist you and your technician with any technical support questions you may have during installation or with servicing your system before and after your purchase. HeatandCool offers free shipping on all product purchases over $200, which is often the case. Shipment of the goods are made F.O.B shipping point (the fulfillment center shipping deck). Generally, most of our products ship out within one business day. Interserver Hosting provides MANAGED WEB HOSTING PLANS, standard, Wordpress, and ASP.net web hosting in addition to cloud vps, and dedicated servers. Easy to use Control Panel 406 1-click install scripts Cloud based hosting solutions Unlimited Storage & Transfer ABOUT INTERSERVER Hosting: While times may change, our sense of duty regarding our clients never waivers! We are setting down deep roots! 15 Years old! InterServer Hosting has been giving webhosting administrations to the previous 18 years. In spite of the fact that innovation has transformed from the time we began in 1999, our center standards of value, administration, and support have continued as before. Our organization has developed its item offering to incorporate Shared Hosting, Cloud Hosting, Quick Servers, and Dedicated Servers alongside colocation administrations to keep on exceeding our clients' desires and stay BEST IN CLASS. Forexmentor is WHERE TO BEGIN LEARNING ABOUT FOREX TRADING; if you want to learn trading, this is your chance for complete and comprehensive training, with numerous updated materials in our Coach's Corner. Forexmentor is operated by Currex Investment Services Inc; our mission is to provide you with the most genuine training experience possible. We won't lie to you about how easy Forex trading is. We will not tell you how you will get rich overnight with Forex trading. Successful Fx trading comes with hard work. The hard truth is having people to invest your money for you will not help you build wealth. Taking control of your money is what Forexmentor will do for you. You will not get rich overnight, but you can build wealth progressively with Forexmentor. Top Dog Trading was founded by me, Dr. Barry Burns. I’m a businessman who has owned several small companies. My business background taught me to focus on the bottom line, so my study of the financial markets was for one purpose only: to make profits. Top Dog Trading, the beginning: I started my study of the markets under the direction of my late father, Patrick F. Burns, who accumulated 70 years of trading experience in his lifetime. You can get, absolutely free, one of my favorite trading setups: "The Rubber Band Trade."